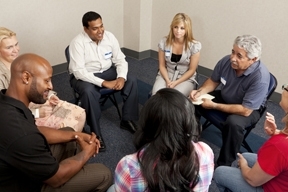 Jackson Recovery Centers' Adult Outpatient program specializes in providing substance use and mental health disorder treatment for adult men and women and their families. Jackson offers state-of-the-art addiction and co-occurring disorder treatment. Our highly-trained staff strives to bring love and hope to adults and their families who are affected by addiction. We have developed a treatment model where our staff and patients mentor, help and teach each other lifelong skills centered on recovery. We believe addiction is a disease that affects the entire family, so we encourage family members to be involved in the treatment process. We can help you build healthier family relationships and the entire family can recover together. Assistance to concerned persons and/or family members is available even if the addict is unwilling to be involved in treatment.